Whether folks out there are beginners in the kitchen or experienced home cooks looking to try their hand at Chinese cooking, the single most common question we get here on the blog concerns substitutions––mostly for the *seemingly* less common Chinese ingredients. 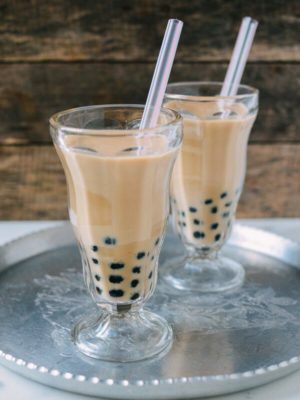 What’s a substitute for Shaoxing wine? Will it taste the same without dark soy sauce? The truth is, however, you don’t really need that many ingredients to cook with and enjoy authentic Chinese flavors. 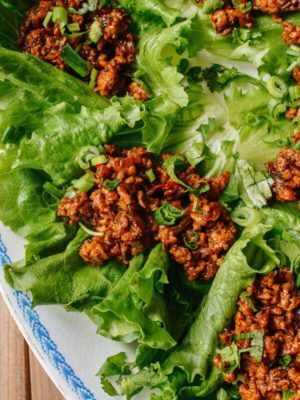 In fact, there are really just 10 essential Chinese pantry ingredients that are core to our arsenal. Once you have these core Chinese pantry ingredients, you will be able to make 75% of the Asian recipes here on The Woks of Life! 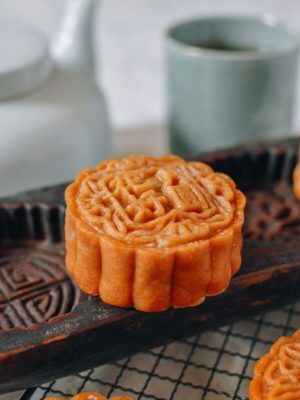 Whatever your skill level, read on if you want to learn how to cook Chinese food and start your Chinese pantry with these 10 items. Once you’ve got a solid foundation, you can add to your pantry, allowing you to make more authentic dishes! 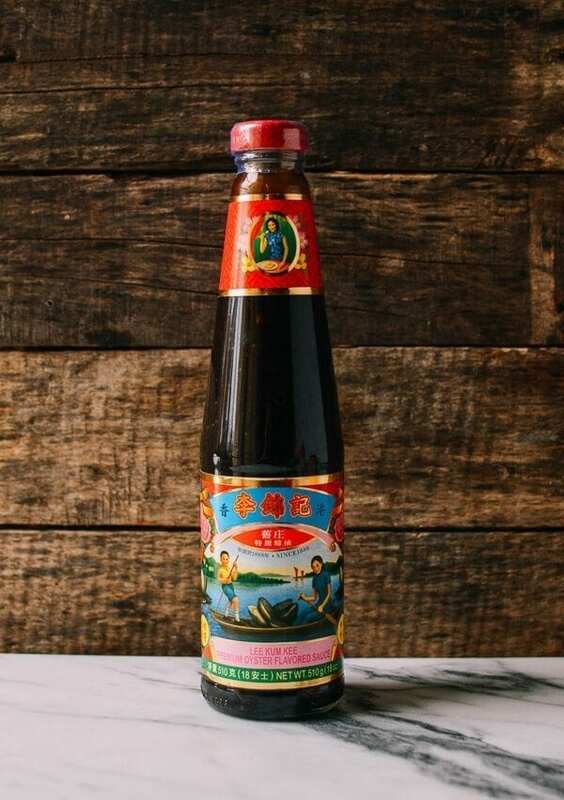 Soy sauce is the most iconic and well-known Chinese pantry essential that you likely already have stocked. So many Chinese dishes use this ingredient, and nowadays, many western chefs are adding soy sauce to their pantry arsenal to add extra umami to their dishes. 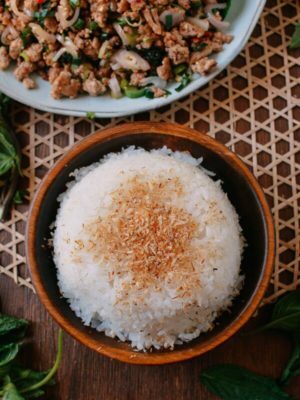 While soy sauce is very commonly used as a table condiment by both Asians and Westerners, you might be surprised to learn there are differences in taste, saltiness and color among soy sauce brands and soy sauces from different countries including Thailand, Japan, and China. Like anything else, everyone has their favorite brands. The key to identifying a good soy sauce is making sure it is naturally brewed. Otherwise it may be a cheaper artificially-flavored or chemically formulated version. If you see a long list of chemicals and/or corn syrup and sweeteners as ingredients on the bottle, I recommend avoiding it! Over the years, we’ve learned to appreciate the nuances of good soy sauce to improve our recipes! 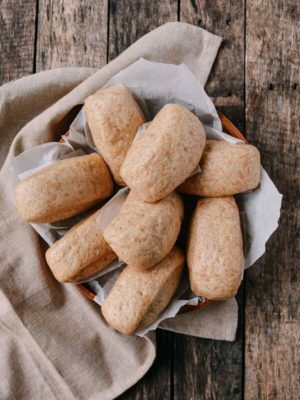 For those of you who are gluten free, don’t fret. A few companies have developed gluten-free soy products. In the past, the only alternative was Tamari, but there are more options available today. 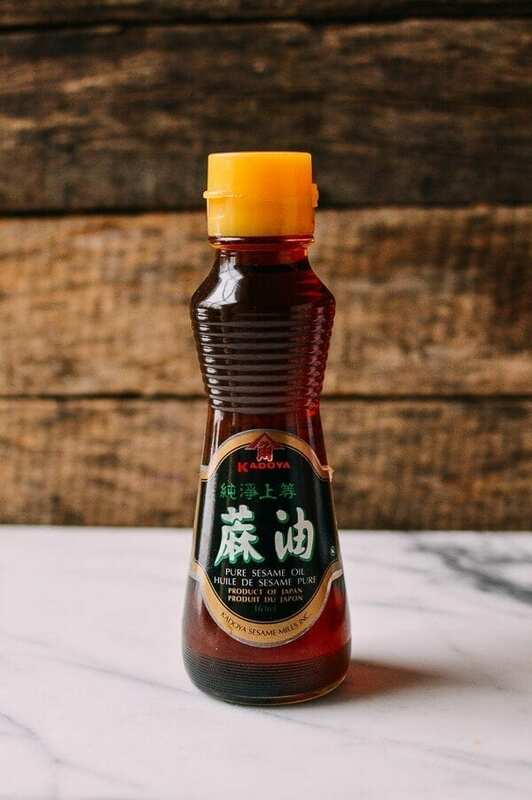 For more pictures, different types, and brands that we use regularly, read up on soy sauce on our Chinese Sauces page. When it comes to stocking soy sauce for your basic Chinese pantry, both regular/light and dark soy sauces are a must. While you can get by with just regular or “light” soy sauce in some dishes, to get the right depth of flavor, color, and consistency for other dishes, dark soy sauce is critical! 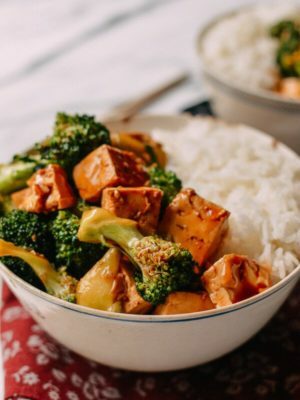 There are some variations in dark soy sauce (e.g., mushroom flavored), and you’ll see some brands refer to dark soy sauce as “black soy sauce,” but they are all quite similar, with slight variations in flavor. 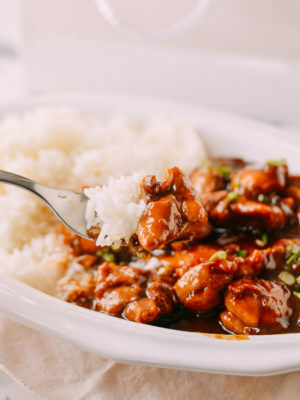 Go for the culinary soy sauce experience with some of our favorites – Soy Sauce Chicken (the same you can see hanging in restaurant windows in your local Chinatown), Judy’s Supreme Soy Sauce Fried Rice, and our classic Cantonese Soy Sauce Pan Fried Noodles. 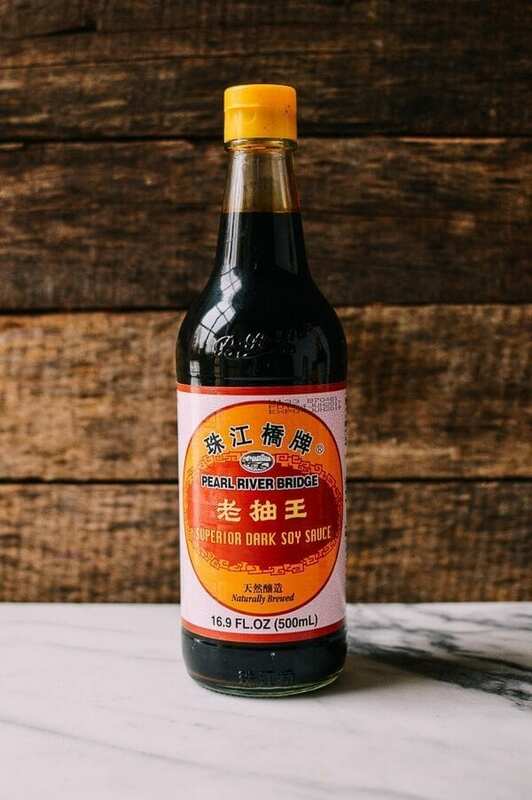 Bottom line, be sure to get a bottle for your Chinese pantry. 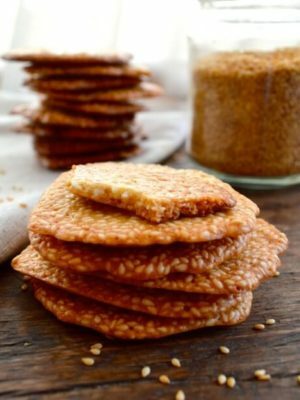 Sesame oil is one of the more recognizable flavors of Chinese and Asian cooking. 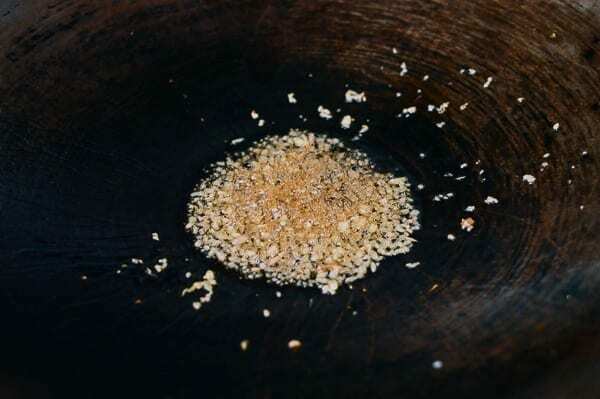 Most of the sesame oils you see in markets are toasted, so they have a dark amber color and rich aroma. If you see a clear or yellow bottle of sesame oil, it is almost certainly not toasted and likely will not have as rich a fragrance and taste. Adding a little to stir-fry dishes helps give your dish that familiar Asian flavor. But remember you can really kill a dish by adding too much sesame oil. 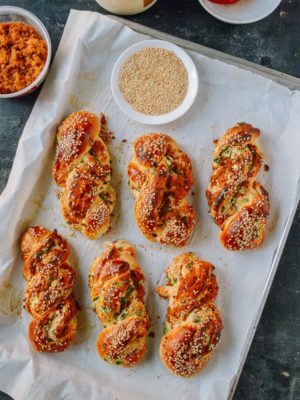 It can quickly become overpowering, so use sesame oil sparingly––just enough to complement your other ingredients and spices and sauces. 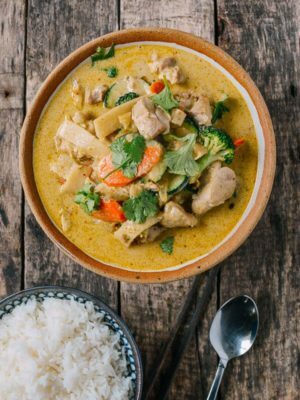 Check out our some of our recipes featuring sesame oil and toasted sesame seeds: Judy’s Taiwanese Sesame Oil Chicken Soup, which has lots of ginger to warm your body and soul during the coldest winter months. Then, there is the classic Shanghainese version of Cold Sesame Noodles or our easy-to-make Savory Sesame Scallion Waffles. 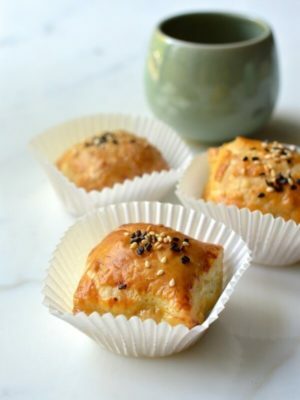 For more pictures and tips on where to buy sesame oil, refer to our sesame oil entry on our Chinese Sauces page. Shaoxing wine is a type of rice wine from the Shaoxing region of China. In China and especially the Shaoxing region, this wine is sometimes consumed as a table wine. However, Shaoxing wine sold outside of China is usually brewed for cooking applications rather than consuming as a beverage. Some markets carry both brined and salt-free versions, so look for both! While there are many types of rice wine, the vast majority of our recipes (especially stir-fry dishes) call for Shaoxing wine. If you have a salt-restricted diet, you can reduce the amount of salt you add to your dish when using Shaoxing cooking wine. Check out a more complete description of different rice wines on our Chinese sauces page. For those of you who really cannot find Shaoxing wine, a good substitution is a dry sherry. 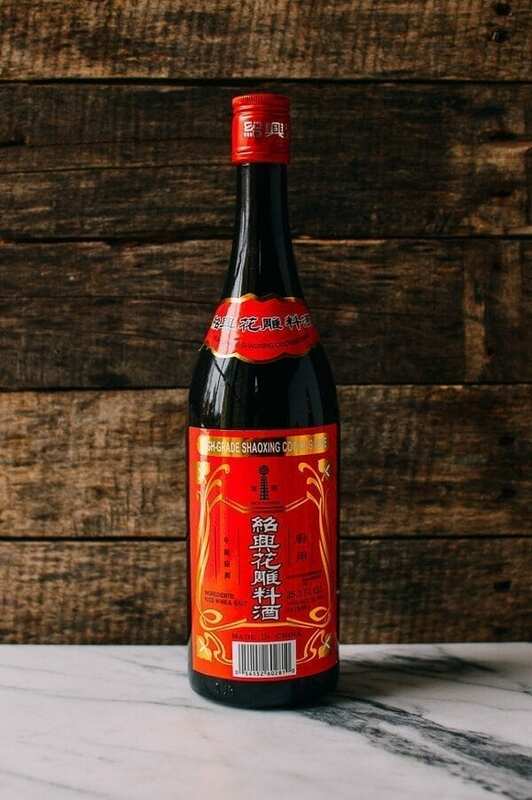 Unfortunately, we haven’t come up with a good non-alcoholic substitute for Shaoxing wine yet, but since we have had many requests, we’re working on it! 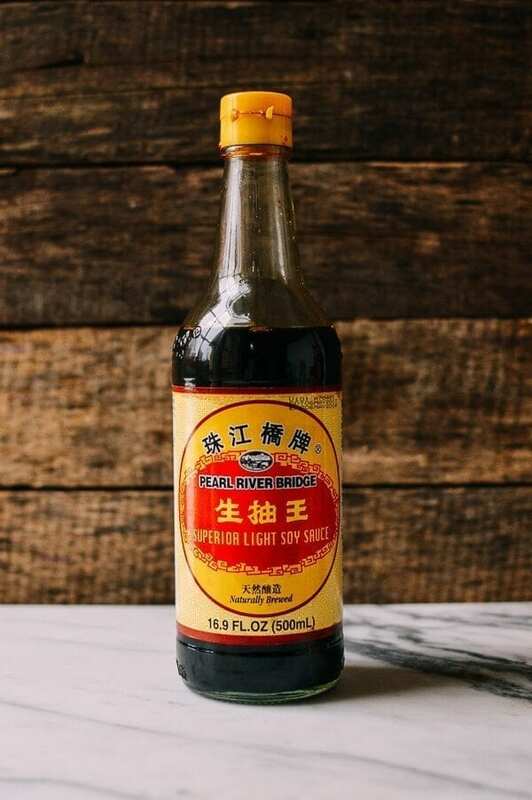 Whether you’re buying the traditional version made from oysters or the vegetarian version made from mushrooms, oyster sauce provides umami flavor that really elevates the taste of any Chinese dish. 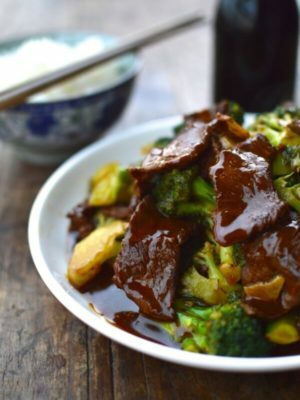 My father was a career Chinese chef, and he always said, “If you want to make a dish taste better, just add oyster sauce.” So that should tell you something! For this reason, oyster sauce is a Chinese pantry essential even though it’s used mostly in Cantonese dishes. A good quality oyster sauce is expensive, but definitely worth the money, so go for quality when browsing the sauce aisle of your local Chinese market! 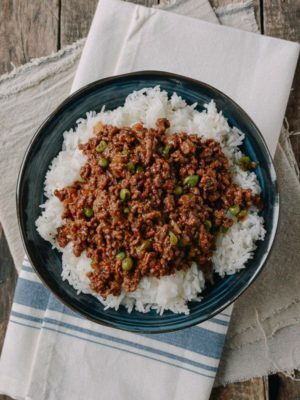 Some of my favorite childhood and bachelor meals are oyster sauce-based, such as Sticky Oyster Sauce Chicken and our more recent classic, Chinese Spaghetti Bolognese. Sarah has carried on this tradition with her recipe for One Pan Roasted Chicken in Oyster Sauce. Cornstarch (also called corn flour in some countries), is the most common thickening agent used in Chinese cooking. It is also the most readily available ingredient. 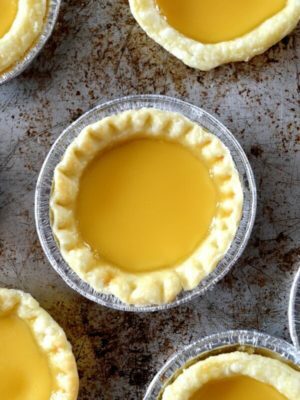 Many of our recipes call for a 1:1 ratio of cornstarch and water mixed into a solution (or actually a colloid if you’re gonna be really scientific about it). We call this mixture a cornstarch slurry. Mix the cornstarch and water well right before you use it (it will separate within just a few minutes). Stir the sauce or soup quickly while drizzling in the cornstarch slurry, so lumps don’t form. It’s that easy. 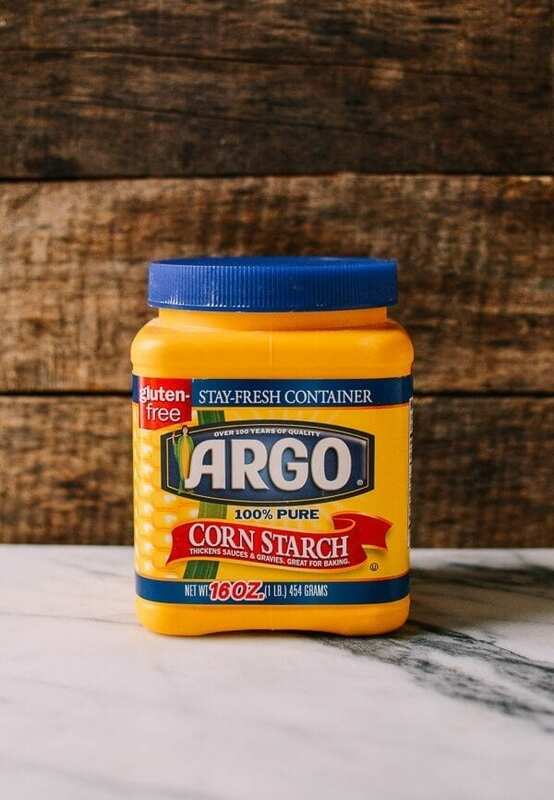 Another common use for cornstarch is marinating meat. We use cornstarch to make the texture of meat silky and juicy. 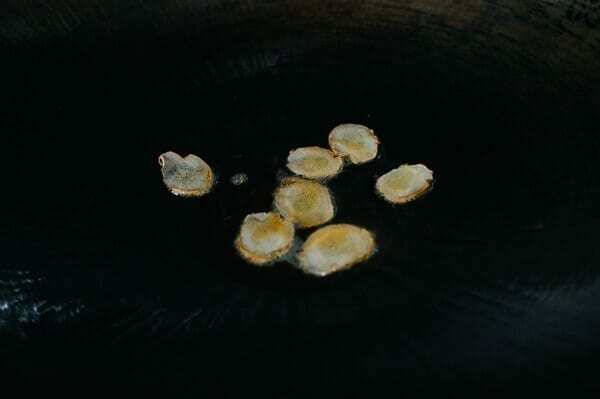 Cornstarch is also used for dredging and frying, yielding a perfectly light and crunchy texture. Some examples of this include our Mongolian Beef, Mongolian Chicken and Cantonese Salt and Pepper Pork Chops. Substitutions for cornstarch are tapioca starch and potato starch. You can read more about these starches on our Chinese Rice, Grains and Flours page. 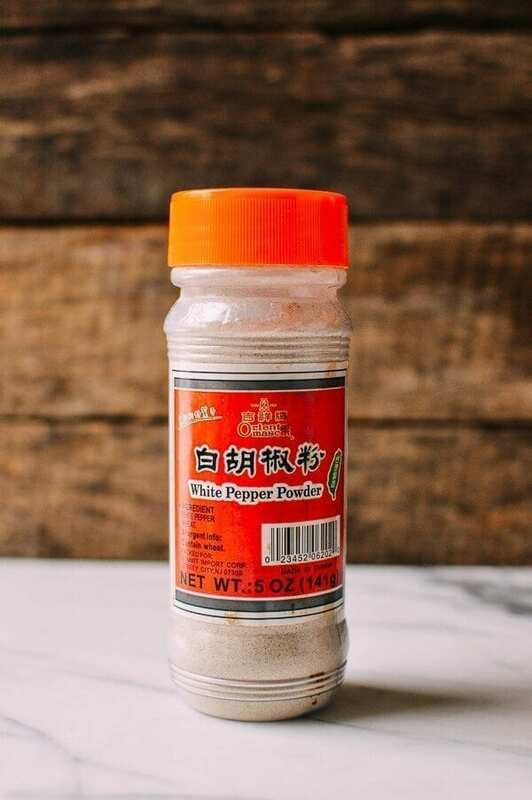 White pepper is rarely used in Western cooking, but when it comes to Asian cooking, it’s used instead of black pepper. Freshly ground white pepper is always more fragrant than pre-ground white pepper, but pre-ground white pepper will do just fine in almost all cases. In certain applications, its powdery texture is preferred! White pepper has a steady burn that continues to the back of your throat. Those of you who have had a good Chinese Hot and Sour soup at your local Chinese restaurant or have made your own using our Classic Restaurant Style Hot and Sour Soup recipe know what I mean. The heat is distinctly different from dried hot peppers or chilis. 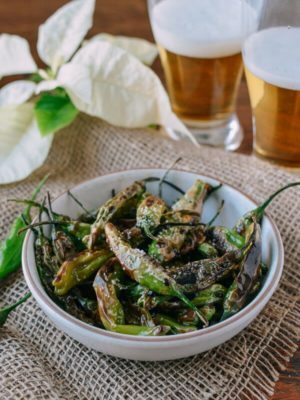 You will also taste fragrant white pepper in our Salt and Pepper Shrimp and Chinese Salt and Pepper Fried Squid recipes. 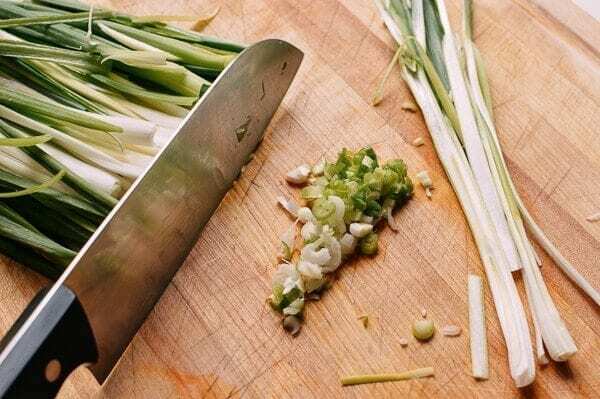 Ginger, garlic, and scallions are the mirepoix, or holy trinity of Chinese cooking. Okay so maybe scallions aren’t *technically* a pantry item, but they’re so crucial and s0 easy to find that we’ve included them here. These aromatics are each essential to Chinese cooking, but not all dishes require all three. The flavors of ginger, garlic, and scallion vary depending on which you’re using and how you’re cooking them. 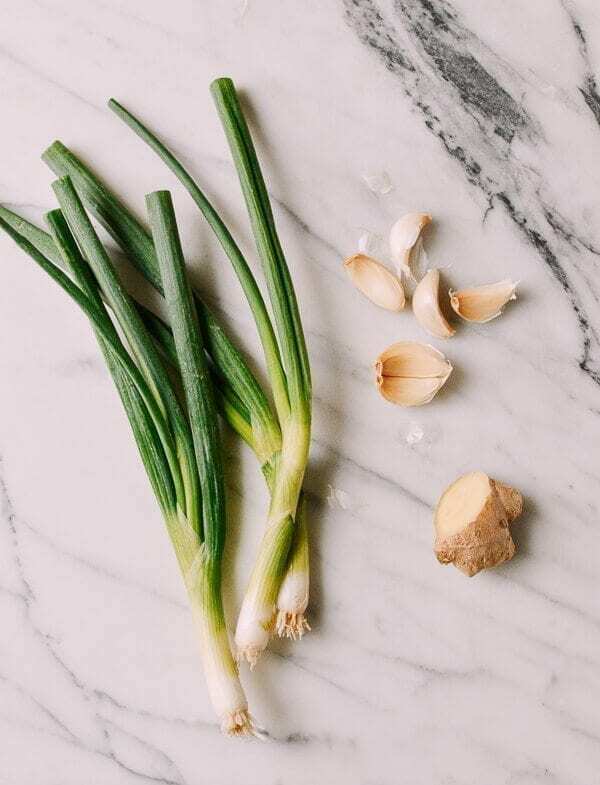 For example, ginger and scallions add subtle flavor to our classic Cantonese Poached Chicken and the bold flavors of raw scallion and ginger are used for a dipping sauce served alongside it. 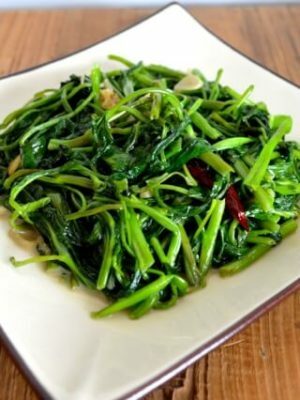 If you’re interested in some of the less common aromatics in Chinese cooking, refer to our page on Chinese Aromatics Ingredients for more information. Everyone knows garlic, but you can never have too much garlic in your pantry when cooking Chinese food! If you find yourself with a surplus of garlic, you can even try our Asian version of Forty Garlic Chicken. Always remember to work quickly when using garlic in your stir-fry so you don’t burn it. Garlic is the foundation of many of our recipes, and the bitterness of accidentally burned garlic will ruin your dish. In fact, if this happens, stop right away, discard the burnt garlic, and restart the recipe! Ginger has a unique flavor and is used in many recognizable seafood recipes. 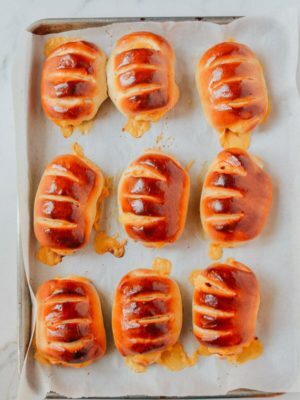 Caramelizing ginger slices in oil infuses dishes with a toasty ginger flavor that carries through your entire dish for a truly authentic flavor. Ginger Scallion Shrimp and Ginger Scallion Lobster are some of our favorites. Whole Steamed Fish is another must try that relies heavily on ginger and scallions. 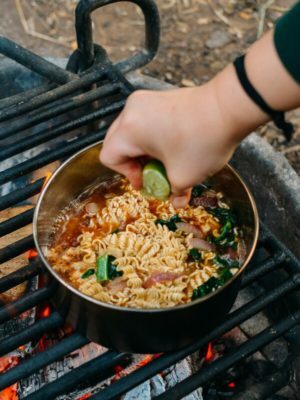 If seafood is not your thing, try Kaitlin’s Ginger Garlic Oil with Chilies, which has been shown to make almost anything––noodles, rice, scrambled eggs, meat––taste better! 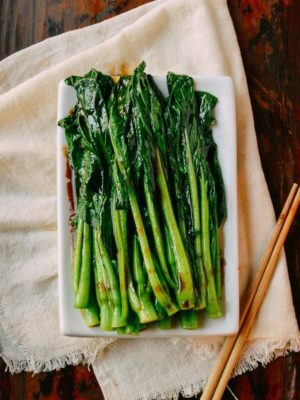 Scallions, or green onions, are used everywhere in Chinese cooking. Of course, this is another commonly found ingredient, but for more tips on how to buy, store, and use scallions, see our Chinese Aromatics page. For a quick stir-fried dish packed full of scallion flavor, try your hand at making our Scallion Beef Stir Fry. 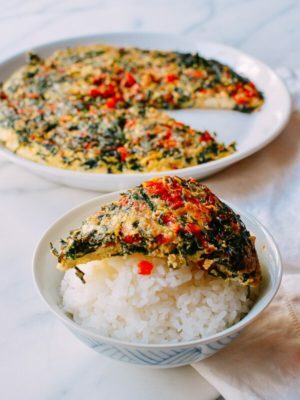 It’s quick to make, easy, and a delicious one pan meal served over rice, perfect for busy weekdays and when you’ve got a bunch of scallions at the back of your refrigerator! Scallion pancakes are also an excellent use of green onions; this favorite street food is so good that we have a handful of recipes in our archives. A standout is Shanghai Style Scallion Pancakes, but if you’re looking for something easier, try Judy’s Shortcut Scallion Pancakes, made by layering dumpling wrappers! Last but not least, Soy Scallion Noodles pack an intense scallion flavor and are made with scallions stewed in soy sauce, reduced, and then tossed in hot noodles. 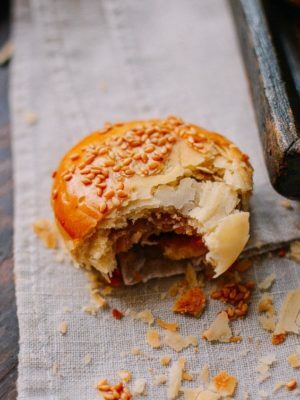 There are obviously many more items you can add to your Chinese pantry, but for anyone looking to make a serious foray into Chinese cooking at home or to just whip up a couple of quick and easy stir-fries, start with the basic Chinese pantry items listed here. 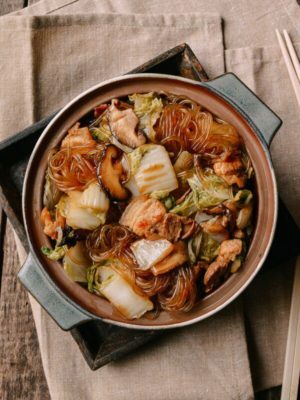 As you get more adventurous and start cooking through our archives of Chinese recipes, you can add to and expand your Chinese pantry. 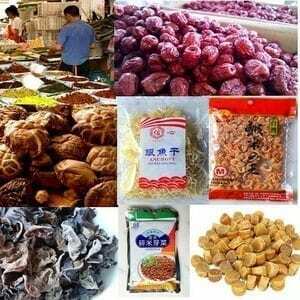 You can also refer to our growing Chinese Ingredients glossary for more information. Drop us a comment if you are curious about an ingredient we don’t have listed! Bonus: What kitchen tools do you need? Of course, if you’re going to stock up on these pantry items, you’ll need the right tools to go alongside. Some other items you might be thinking about include a bamboo steamer or a metal steaming rack, and an automatic rice cooker. But can you learn how to cook Chinese food without all that stuff? You betcha. But these tools do make things easier. The most obvious tool you need is a good carbon steel wok and metal spatula. But if you don’t have a wok, that shouldn’t stop you! 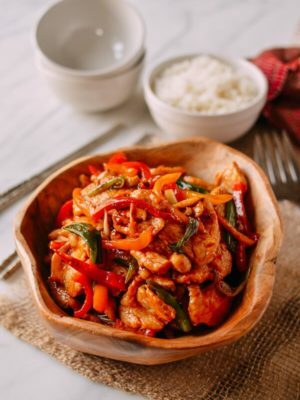 Simply use a large frying pan, and with our basic pantry ingredients, you can whip up most of our Chinese stir-fry recipes. 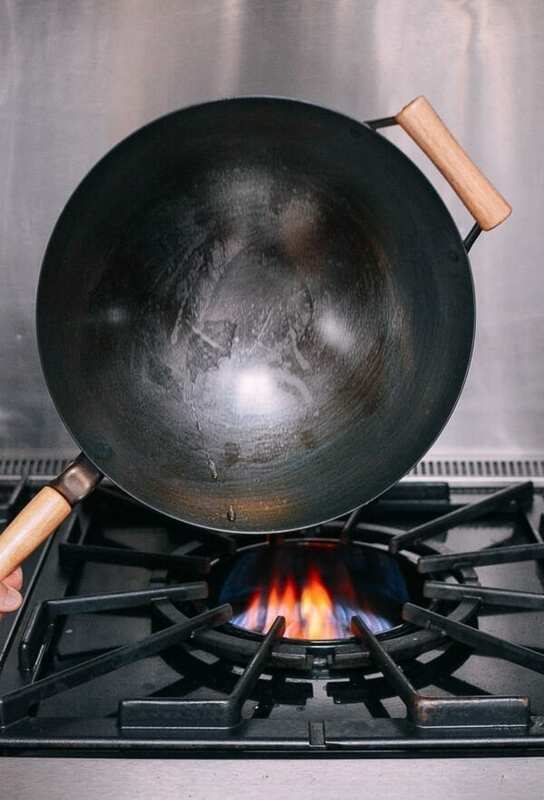 If you’re looking for more information on woks, check out our guide to the best wok to buy. If you’re already the proud owner of a wok, read about carbon steel wok seasoning and care while you’re at it. 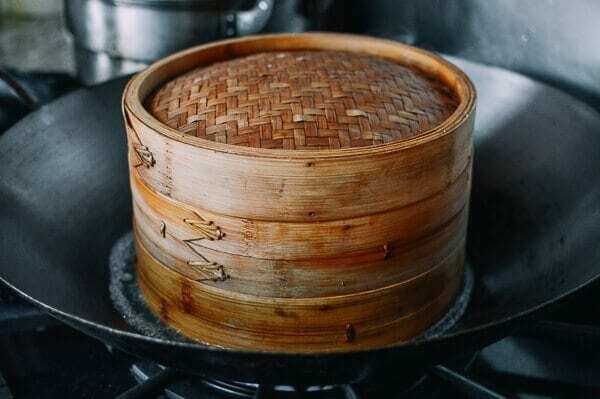 For steaming, a bamboo steamer is great but not essential. You can also use an empty tuna can or evaporated milk can in a pinch if you need some height above the water. 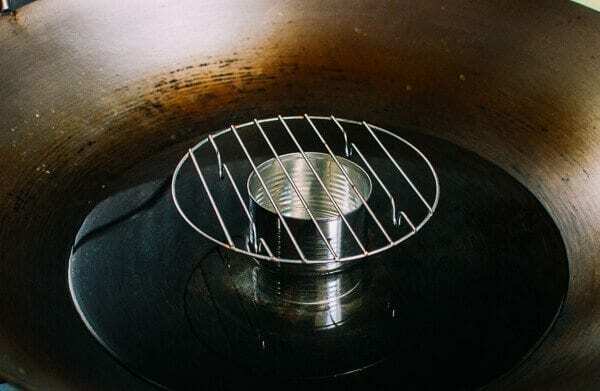 Simply put a heat-proof plate or rack on top of the can. More details on how to steam food with any apparatus you’ve got in a post Judy wrote about the topic. But if you don’t have one, just follow our directions on How to Cook Rice without a Rice Cooker for the perfect bowl of stovetop rice. 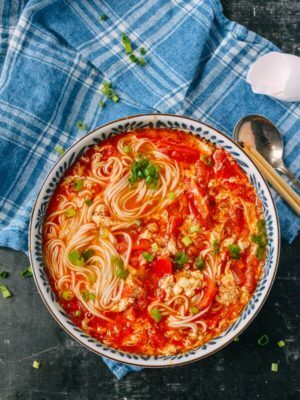 All in all, we’re here to help you build an essential Chinese pantry, and learn how to cook great, authentic Chinese food! 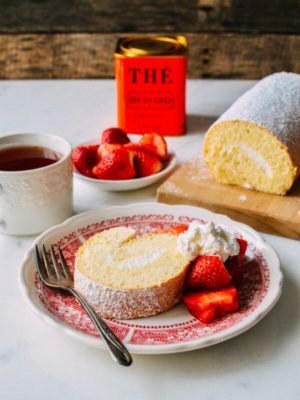 Recreating all of our favorite family dishes can feel daunting, but we’re here to lend you a helping hand. We’ve got a bunch of resources to help you, and most of them can be found in our “how to” dropdown in the navigation bar. Check out Chinese Cooking Tools, which covers most of the day-to-day items we use in our kitchen. Take advantage of our Chinese Ingredients Glossary. 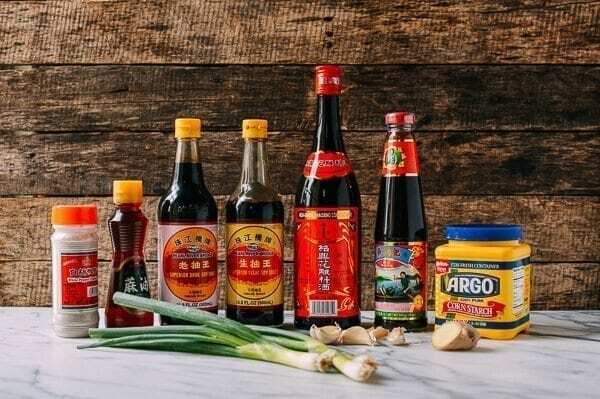 There, you’ll find a comprehensive organization of Asian and Chinese Sauces including more specialty items like Chinese vinegars, chili bean paste, and fermented black beans. Our page on Chinese Dry Spices dives into ingredients like Sichuan peppercorns, star anise and Gui Pi or Chinese cinnamon. 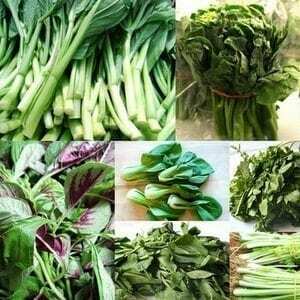 You’ll see more listings, including Chinese Leafy Green Vegetables, Chinese noodles, rice, tofu, dried and preserved ingredients, and more. 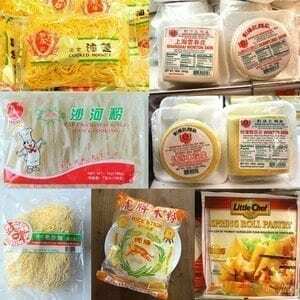 If you’ve ever walked through a Chinese grocery store and felt really confused, you can use our Chinese glossary pages when you’re shopping to find all of our preferred, authentic ingredients. All of The Woks of Life recipe posts list out the ingredients and link to our Chinese Ingredient glossary. 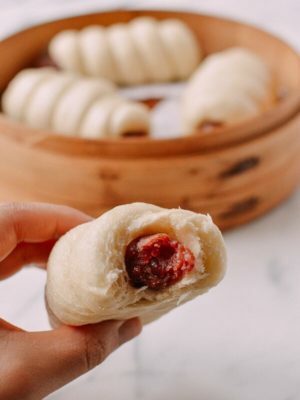 We continually update our Chinese ingredient glossary with detailed descriptions and information on where you can buy certain ingredients if you can’t find them locally. Comments are a great way to ask questions and we try our best to answer every one of them. 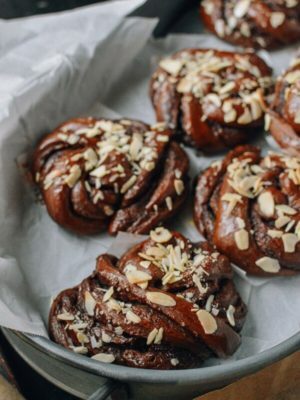 You can also drop us a note via our contact form, but if your question is relevant to the recipe, use the comments so everyone can learn more! Our goal is to make it really easy for you to enjoy our recipes and dishes at home. 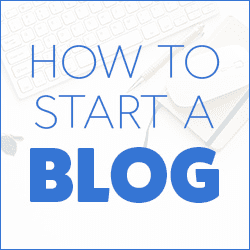 So get started by getting familiar with our recipe post format and cook our recipes right alongside us! I would love to start cooking Asian dishes. 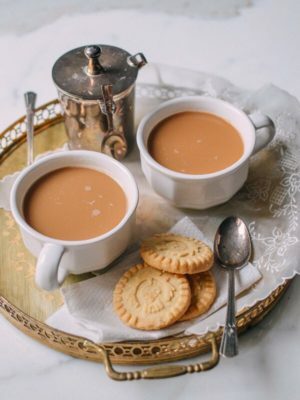 I never tried before, but love to eat it..how do i get ahold of an cookbook.love to cook period..and I would love to get all the ingredients, and learn how to use them as well.. 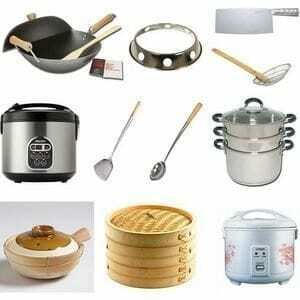 Check out our recipes, ingredients pages, and articles about Chinese cooking tools. 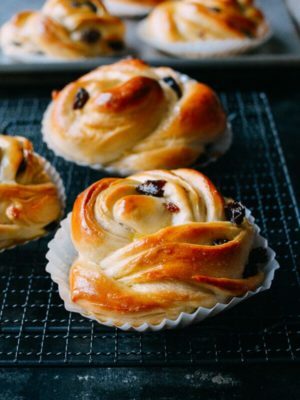 When you view our recipe posts, click on the links in the ingredients lists to learn more about each. Happy cooking! Thx so much! I’ve always made stir ttys but I have expanded my horizons! I appreciate your emails! You are very welcome, Kenny! One question: How can I keep my ginger fresh, longer. It seems that I can only find really big pieces and most of the time I am only using a very small piece. Hi Happy Eater, did you know you can freeze ginger? I usually slice the ginger and freeze the slices in a freezer bag so they are ready for me whenever I need them. Love your and your family’s website. 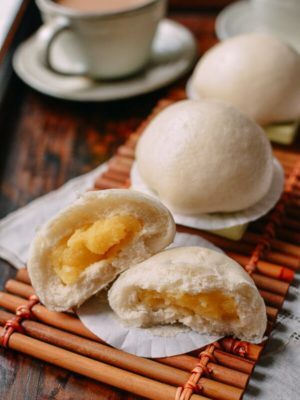 My 95 year old mother is Shanghainese and a great cook but doesn’t cook by recipes so your recipes are such a great resource for me for authentic Shanghainese cooking. Can a meatier Pekin or Long Island duck be used for Cantonese roast duck? The ones hanging in grocery stores do not have as much meat, although very tasty. Do you have a good recipe for Cantonese Roast Duck? Thanks.